Conor McGregor suffered the second loss of his UFC career back in October. “The Notorious” was submitted in the fourth round of his lightweight title match against Khabib Nurmagomedov. “The Eagle” remains undefeated in his mixed martial arts (MMA) career. After their fight, both McGregor and Khabib’s teams got into a post-fight brawl. Punishments from the Nevada State Athletic Commission (NSAC) have yet to be handed down for the incident. “If one of us go to the war, We all go to the war…but it’s different story. Emiragaev and Tukhugov were both involved in the post-fight brawl that occurred at UFC 229. It will likely take some time before any of these men will be able to fight again. 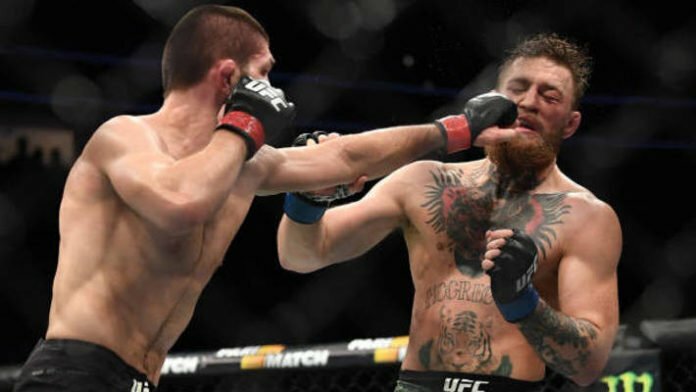 However, Khabib vs. McGregor was one of the biggest fights Nevada has ever hosted. They likely want to put this all behind them as fast as possible in order to help put together the inevitable rematch. What do you think about Khabib’s message to McGregor on Instagram?